I love reward levels that capture the spirit of the product, and Rob Daviau’s first foray into Kickstarter does just that. 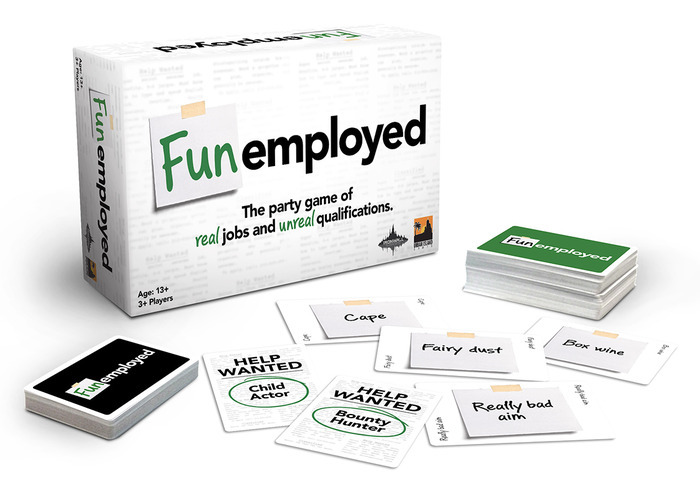 Funemployed is a “satirical job application party game,” so it’s seeped in corporate, white-collar humor. Not only is the humor on-theme, but it gives backers a way to give a little more to the project without breaking the bank on special rewards. I’d like to see more projects do this. Kickstarter isn’t a charity, but creators often price projects really low (especially with shipping included in the price), so every little bit helps in the long run. This is a way for backers to provide that buffer and have fun doing so. If you’re looking for an example of a great project page, study these two projects. Both feature beautiful visuals that take up just the right amount of space (note in particular the “landscape” format of images used on Dragon Racer), text in list form instead of long paragraphs, information ordered in the most compelling way, and much more. My hat is off to Myles O’Neill and Gavan Brown. There’s an important lesson hidden in the title of this project. The full title is: “WordTov: Word Tov The Board Game of Dramatic Reversals”. Note the two different spellings of “WordTov” (that’s the correct spelling). It’s important for creators to remember that people may not spell our project names correctly when they search for them. If they can’t find the project, they can’t back it. Michel Nizon recognized this and wisely included both spellings of his game in title. Also, check out the section midway down the page called “The Letter Tile is The Star!” It shows the amount of care and attention that went into crafting the perfect letter tile for this Scrabble-like game, including a gift that showcases its functionality. I often talk about how creators can go to far in asking backers to share more and more, so this is an exemplary way of inspiring backers to share and giving them something in reward for their social networking efforts. The update resulted in 136 comments (and presumably close to that number of shares). Which of these innovative Kickstarter concepts resonates the most with you? The Funemployed theme is really well represented across the page. Really sells the whole idea. I’m not the biggest fan of these type of games but the whole project looks fun without feeling forced like so many other projects. Good example of marketing. I really like Kickstarter projects that interact with the supporters through discussions in the comments, insider humor, encouraging involvement through sharing, and that quest concept is just amazing. I wish more Kickstarters were focused on building a community of fans rather than increasing finances. 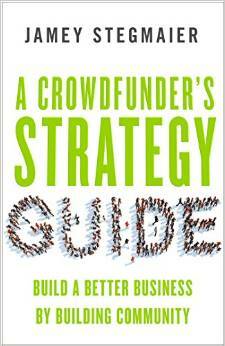 I know you have encouraged this in previous blog posts and discussions along with the $1 backer option. I find I am much more loyal to companies and individuals who desire me in their community more than just as a financial backer. T.R. : I share that sentiment–I love Kickstarters that focus on building community, friendships, and connecting people with shared passions. For Twisting Catacombs, any idea how they tracked who shared the link? Did people take a screenshot or something and sent it in? Isaias: Sure, it’s kind of hidden in the quote from their project update: People posted links in the comments. “I pirated Maniac Mansion and Monkey Island when I was a kid and I feel bad!” This reward tier instantly absolves you of all guilt and includes the Thimbleweed Park game. All subsequent tiers also include guilt absolution. Nico: Which project is that from? All really great ideas here! Although Twisted Catacomb’s idea of giving special bonuses to backers, to me, stands out the most. I think it’s a brilliant marketing idea and a win-win deal for both the creator and backer. I think it boils down to asking the question, “what is the most effective way I can spend my time/money advertising my project that will bring the most return?” It also encourages blog/forum articles/mentions about your project at probably the more important time, during your campaign.